After more than eight years of grateful use of your excellent software, I would like to thank all at AIS and offer a 'satisfaction' contribution of ten pounds if you can make this possible for me to do. 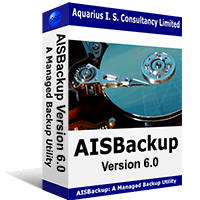 There have been many times when your software (and my weekly use of it) has 'rescued' me and, in situations where a complete backup is required, it is my option of choice. Your software has always been easy and intuitive to use, has never become bloated with 'bells and whistles', and has never let me down.